Now that I covered both Entity and Collection caching, it’s time to investigate how Query Caching works. The Query Cache is strictly related to Entities, and it draws an association between a search criterion and the Entities fulfilling that specific query filter. 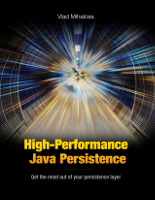 Like other Hibernate features, the Query Cache is not as trivial as one might think. The Post entity has a many-to-one association to an Author and both entities are stored in the second-level cache. For Hibernate to cache a given query result, we need to explicitly set the cachable query attribute when creating the Query. The Query Cache is read-through and like the NONSTRICT_READ_WRITE concurrency startegy, it can only invalidate stale entries. Query parameters are embedded in the cache entry key as we can see in the following examples. The parameter is stored in the cache entry key. The cache entry value first element is always the result set fetching timestamp. 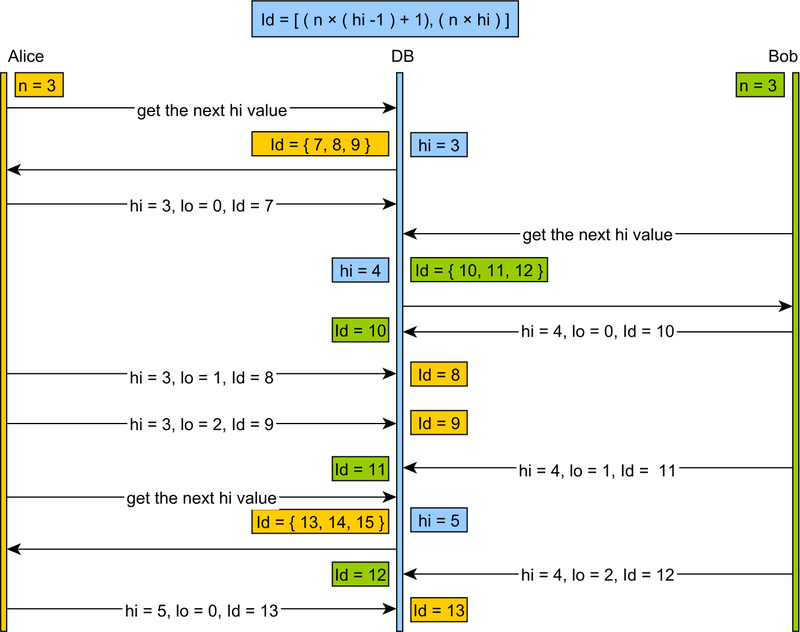 The following elements are the entity identifiers that were returned by this query. The cache entry is similar to our previous example since Hibernate only stored the entity identifier in the cache entry key. 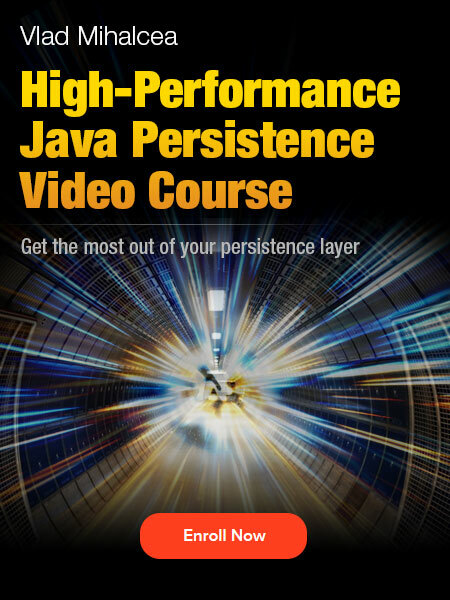 This makes sense, since Hibernate already caches the Author entity. 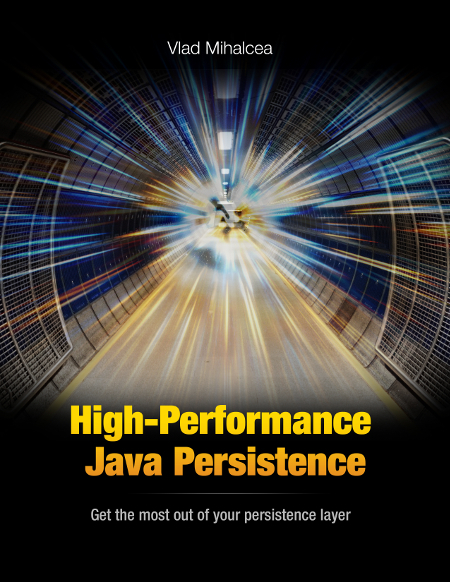 Hibernate second-level cache favors strong-consistency, and the Query Cache is no different. 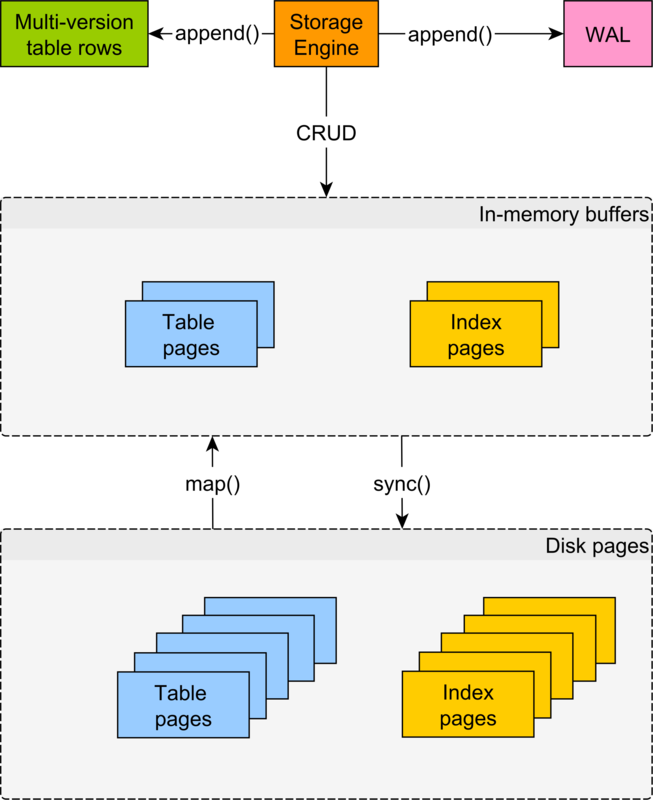 Like with flushing, the Query Cache can invalidate its entries whenever the associated tablespace changes. Every time we persist/remove/update an Entity, all Query Cache entries using that particular table will get invalidated. "update Author set name = '\"'||name||'\"' "
Both the Author and the Post cache regions were invalidated, even if just the Author table was modified. To fix this, we need to let Hibernate know what tables we are going to alter. Only the provided table space was invalidated, leaving the Post Query Cache untouched. 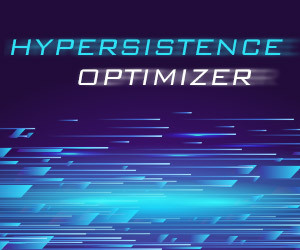 Mixing native queries and Query Caching is possible, but it requires a little bit of diligence. The Query Cache can boost the application performance for frequently executed entity queries, but it’s not a free ride. It’s susceptible to consistency issues and without a proper memory management control mechanism, it can easily grow quite large. 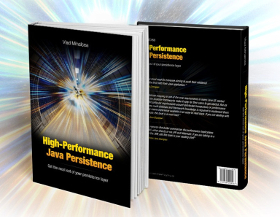 I have a multi-tenant application and am using hibernate filters to achieve the multi-tenancy. As findOne and similar methods do not support filters, I am not using them and hence the L1 cache is not used in the application at all. As a workaround, I was trying to use the Query cache only for findById queries (internally it will have a where attached by the hibernate filters) but seems like it requires L2 cache setup as well. Is there any way I can use query cache with L1 cache? I needed this behaviour because I intend to do only a session level caching. The query cache cannot work for the L1 cache since L1 always take precedence over anything in L2 or the DB. Just override the findOne Spring method to pass the tenant identifier. It’s as simple as that. As far as I understand, the L1 cache will get triggered on session.find by primary key or equivalent. So will I need to override session.find implementation? Have I understood anything wrong here? 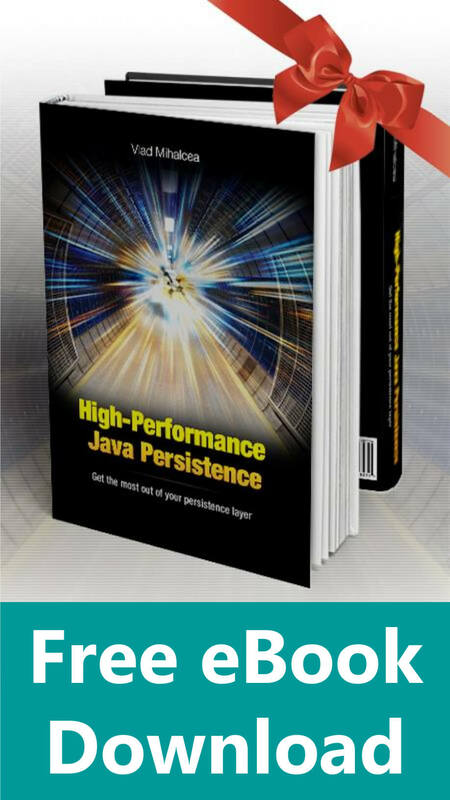 In the Flushing chapter of my High-Performance Java Persistence book, you will find more details about how the Persistence Context works and get a better understanding of what I told you before. Vlad, I read the chapter and some more details mentioned in the book about caching. What I understood was that Persistence Context will store the entity, but it will do this when entityManager.find(Post.class, postId) is triggered. You can customize the way the Session is built to pass the tenant identifier from a ThreadLocal library. It might be that Spring offers some integration for that. Nevertheless, it’s easy to build it via AOP too. Have done this using AOP. I enable the filter and pass the tenant identifier to it. This works well for all queries. But entityManager.find ignores it (the enabled filter) and does not add the additional where clause which a hibernate filter adds. All I intend to do here is to use the L1 cache. Because it triggers only on entityManager.find, I am trying to find a way to pass tenant identifier to it. That sounds like a bug. Create a replicating test case and open a Jira issue for it. Found this when I was trying to Google out the solution. It mentions that it is an intended behaviour. I am using the entity query only, as suggested in the stackoverflow answer but the downside is that L1 cache does not work with it. 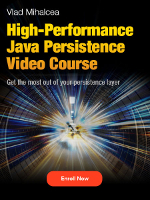 For now, it seems that with hibernate filters, I cannot use the L1 cache. I have ehcache+JGroups clustered L2 cache. Do I understand correctly that I need exactly synchronized clocks on every cluster member for timestamps/query cache to work correctly? You should ask this question on the Ehcache forum as they know better the answer to this question.